Friday February 22nd saw temperatures round my home in Yorkshire that were ridiculously high for the time of year (20ºC or so). I had to wait until yesterday, Saturday 23rd, to get out on a walk however, and though the sun did continue to shine through the morning, a brisk wind kept the temperature well down, so visions of a fleece-less February walk were unfulfilled. 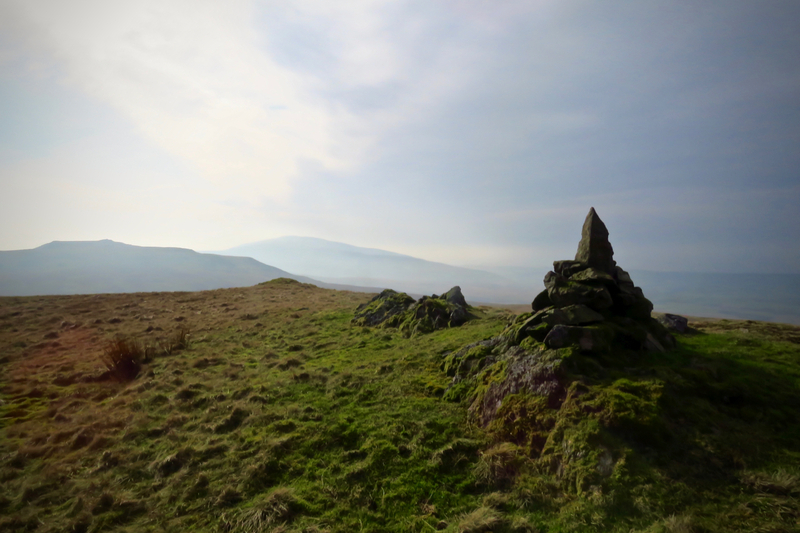 Nevertheless, walk 159 was done in very decent weather for the time of year and this allowed me to rebag five lonely and hard-to-reach summits down in the south-west corner of the District, from the Whit Fell, Stainton Pike and Hesk Fell chapters of volume 8. View from the Pike. Caw and the Coniston fells behind the only other walkers seen today. Worth doing, but a very long walk of some 17 miles, making it the fourth-longest of all the walks described on this blog. Read all about it, and see the usual crop of photos, on the walk 159 page. 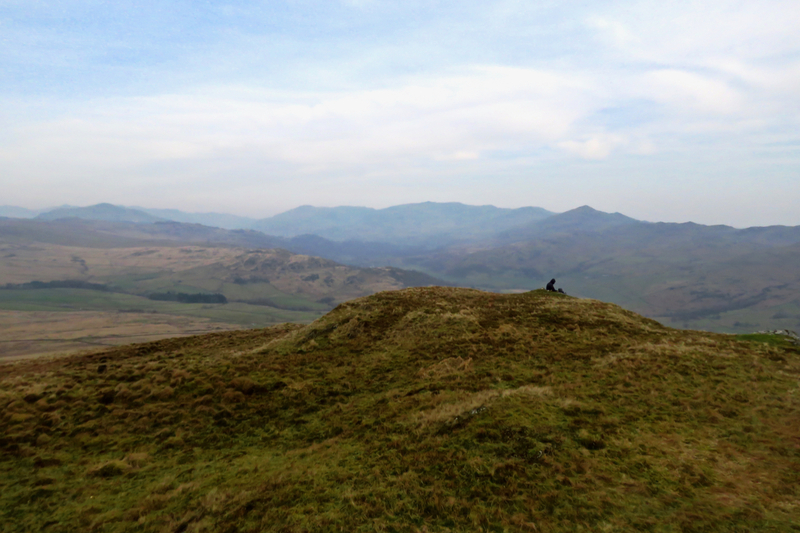 As of today, then, I have bagged 190 of the 330 Wainwrights a second time, so have 140 to go. The next walk should be in the first two weeks of March, while I am just about still a citizen of the EU. 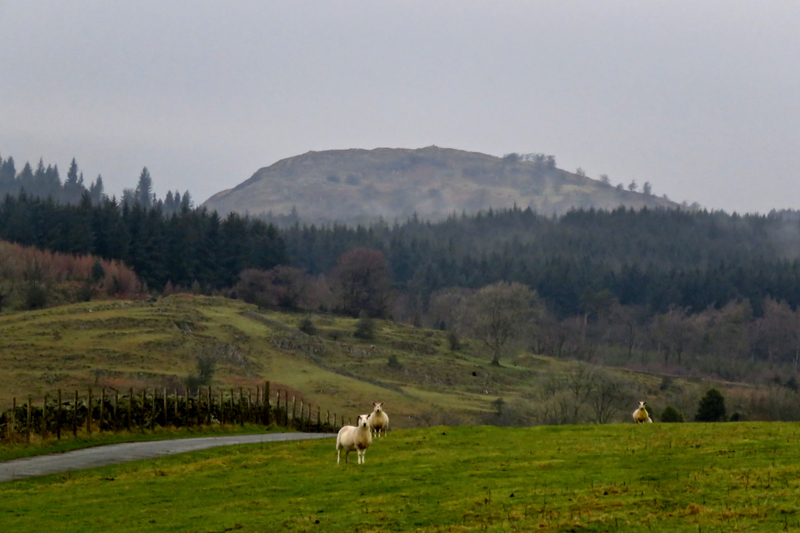 I’m not saying walk 158, which took place yesterday (5th February), was a poor one, but on a grey February day, the low altitude fells around Gummer’s How at the south end of Windermere do not have a great deal of visual appeal. 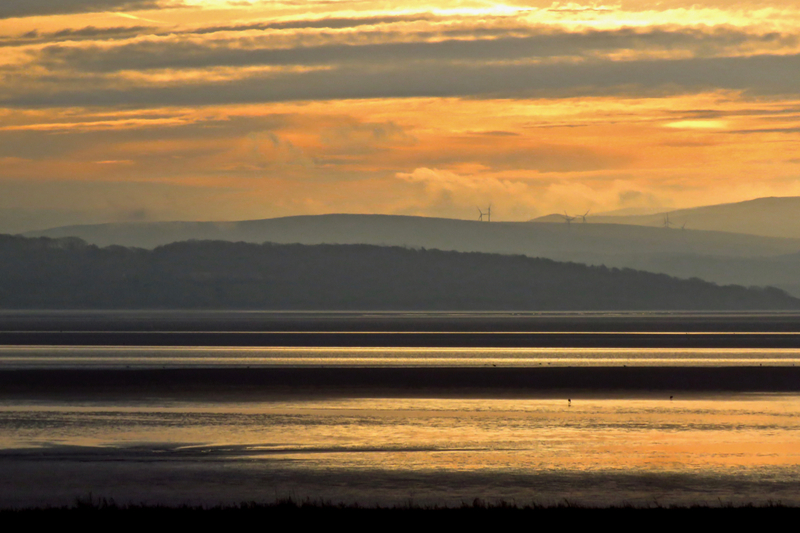 The best views all day were of Morecambe Bay pictured on arrival at Grange-over-Sands station, as you see here. It rained from 1pm until the end of the walk, and so I got a soaking as well. Still, on top of Gummer’s How itself, I rebagged three more Outlying fells — Staveley Fell, Cartmel Fell and Newton Fell (North) — and have now passed the halfway point of that volume, 59 done out of its 116 index entries. As usual, have a look at the walk 158 page if you want more details and photos. Not to mention detail on the heroic public transport fail that is bus/train connections at Grange station. As of today, then, I have bagged 185 of the 330 Wainwrights on my second round, thus have 145 to go. Still sticking to my target of two walks a month until August I hope there’ll be a next walk around the 21st February. Probably still in the Outyling fells, as I do need to catch up on these.